Have you declared a major with the Office of Admissions & Records? The U.S. Department of Education requires that a person be enrolled as a regular student in an eligible program in order to receive Federal Aid. 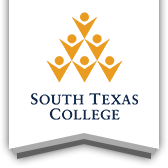 A regular student is someone who is enrolled or accepted for enrollment with the purpose of obtaining a degree or certificate approved by the U.S. Department of Education and the Texas Higher Education Coordinating Board. Students who are undeclared degree seeking majors may remain eligible for Federal Aid for up to a total of: 30 credit hours (attempted and transfer hours). If you are about to reach the 30 credit hour limit, we recommend you declare a major with the Office of Admissions & Records; otherwise a student who exceeds this limit will be placed on Financial Aid Suspension and will not be awarded until they have a declared major. More information on the Financial Aid Satisfactory Academic Progress Policy is available. Undeclared non-degree seeking students are not eligible for Federal Aid because they are not enrolled for the purpose of seeking a certificate or degree.